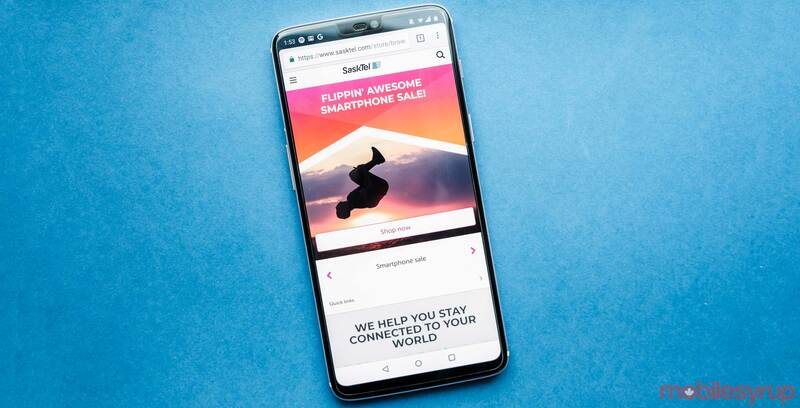 As part of its new “Flipping’ Awesome Smartphone Sale!” SaskTel is offering both new and existing customers three months of free unlimited data. To take advantage of the carrier’s offer, customers must purchase a new smartphone on a two-year ShareMore that includes 10GB of data or more. On-sale devices include new devices like the iPhone X, iPhone 8, iPhone 8 Plus, LG V30, Galaxy S9 and Galaxy S9+. Older devices such as the iPhone 6S and Galaxy S8 are also on sale. Apart from the promo, SaskTel also offers two unlimited data plans — the VIP 85 and Total 125, for $85 and $125 CAD respectively. The plans throttle data speeds after 15GB. Visit the SaskTel website for more information.